Etude House, Korea’s no.1 make up brand collaborated with Malaysia’s sweetheart Elfira Loy to introduce new colors for its signature “Double Lasting Foundation” range. Featuring 7-new base colors such as ‘Cacao’, ‘Rosy Chestnut’, ‘Honey Almond’, ‘Honey Amber’, ‘Honey Tan’, ‘Rosy Tan’, and ‘Rosy Sand’, the 'Double Lasting Foundation' is designed for women with tanned skin tones. “In 2017, we conducted a survey with make up fans in Malaysia. We realized that most Malaysian K-Beauty fans with tanned skin tones have challenges looking for a base foundation that suited their make up needs. 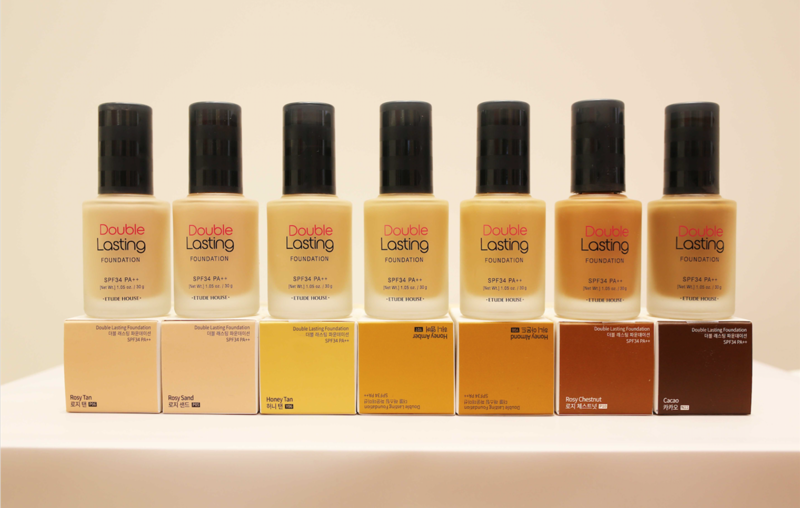 We are excited to finally announce Etude House’s Double Lasting Foundation range with its new spectrum of colors made specially for them.” quotes Willy Choi, Brand General Manager, Etude House Malaysia. In line with the launch of the 'Double Lasting Foundation', Etude House appointed local celebrity make up artist Tiar Zainal to create a look inspired by Elfira Loy. Dubbed “Empower”, the look features Etude House’s signature products including the Double Lasting Foundation shade in “Honey Almond”. Elfira Loy’s “Empower” look is now available at the ‘Find Your Look’ section in the Etude House Sunway Pyramid flagship store. This look will be featured as part of ‘Etude House Signature 9 Looks’ with its own distinctive product highlights and how to video tutorials, where customers can watch and learn how to create their own “Empower” look. At the section, Elfira will also be highlighted in the newly improved Etude House’s signature “Contour Beam” look which features the Double Lasting Foundation in “Honey Almond”. Elfira Loy sharing about the Etude House's signature “Double Lasting Foundation” and her favourite look at the Etude House first flagship store in Sunway Pyramid on the 26 January 2018. The Etude House Double Lasting Foundation is available for MYR 80 at the Etude House flagship store at Lot G1.76 and G1.77, Ground Floor, Sunway Pyramid Shopping Mall along with all Etude House’s signature make up products.